NATO gave its strong backing to Turkey's fight against “terrorism'' at an emergency meeting called to discuss Ankara's strikes against Islamic State fighters and Kurdish rebels. The talks in Brussels came as President Tayyip Erdogan insisted that Turkey would press on with the offensive. “Terrorism in all its forms can never be tolerated or justified. It is right and timely that we hold this meeting today to address the instability on Turkey's doorstep and on NATO's border,'' he said. 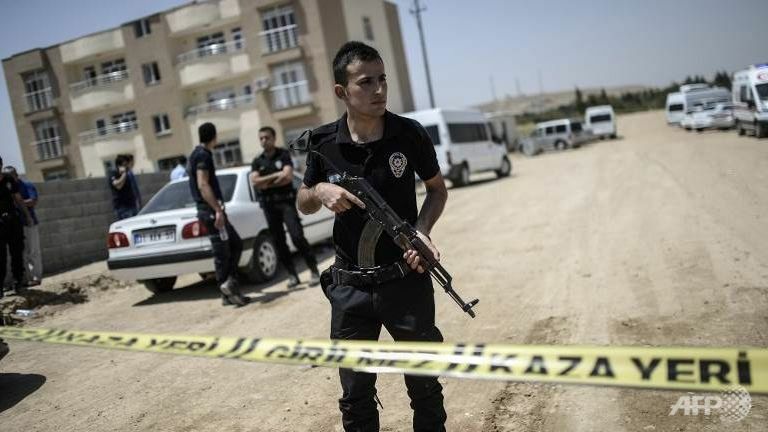 Turkey requested the meeting after a bloody suicide bombing it blamed on the Islamic State group in the southeastern town of Suruc last week. After the attack, which killed 32 people, Turkey combined campaigns against Kurdish militants and IS into a broad “war on terror'' even though the two groups are themselves bitterly opposed. The United States and Turkey said yesterday they had agreed to work together to create an IS-free zone northern Syria in a potentially game-changing accord. 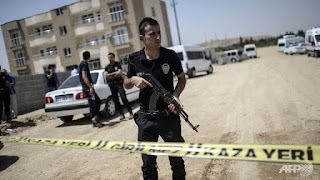 But the attacks on the Kurds have surprised its NATO allies and raised questions over whether Turkey, fearful of seeing a Kurd state emerge on its southern border, is more interested in limiting Kurdish capabilities than in tackling IS in Iraq and Syria. NATO allies have until now seen Kurdish groups in Syria and Iraq as one of the most effective military options against IS as it continues its advance. Erdogan insisted that Ankara would press its attacks to the full. “Any step back is out of the question. This is a process and this process will continue with the same determination,'' Erdogan told reporters before leaving on a visit to China.